As I walked out of a restaurant last night, after a pleasant dinner with a few friends, I stumbled upon a small group of teenagers with a satisfied look on their faces. They were followed by one teenager shouting loudly “I got a 290 Pikachu!”. As it turned out later that night, they were playing Pokémon GO. That nightly quest held by teenagers is a combination of two things. One is the fact that the summer vacation has begun, and the other is the fact that the more rare and exotic Pokémon are, the more likely are to be found at night rather than in daytime. Earlier that day, my youngest son had gone out on such a quest with a few friends after dinner, for the sole purpose of capturing Pokémon. As he entered the threshold of the house, he started explaining with extreme accuracy and detail how many Pokémon he had captured, the specific type of each and every one, and the great distance he and his friends had walked in order to hatch an egg. One of his classmates walked almost 30 miles over the last two weeks, hunting for Pokémon. But what all these have to do with gamification in the workplace? What would these packs of teenagers be doing if it weren’t for Pokémon? They would probably be doing what they did in the last summer, and the summer before that. They would sit in front of their TV, using computers and gaming consoles all day long, and they would certainly not be walking and interacting face to face as much as they do while playing Pokémon. This leads us to the goal that the Pokémon GO developers are trying to achieve: Encouraging People to walk using a game. Marlynn Wei had commented in the Psychology Today Magazine that “The app has the potential to benefit people who would not otherwise be motivated or able to leave the house due to fear or anxiety”. Steven Randazzo posted in medium.com that “Pokémon GO is what health gamification should be”. The use of Augmented Reality lays the user in a Pokémon collection quest. But, there’s a catch. In order to encounter a Pokémon, you have to walk. We have already discovered a long time ago that mobile phones’ ability to track users’ movement and to determine their location is significant with regards to wellness and fitness apps. As a result, alongside the rise of the success of the mobile phone, the quantified self in fitness has gained widespread adoption. Research tells us that counting steps taken increases the amount of steps. But unlike fitness apps that are usually being used by users that are interested in improving their life and health, Pokémon GO addresses an audience which is not interested in making such changes and gets them to walk more. Gamification in the workplace, the use of game elements to create an incentive and engagement, is what GamEffective has been doing for the past few years. Our products’ goal is to get employees to improve their performance in the workplace using digital motivation and real-time feedback. We could be seen as a step counter for work. Real time feedback, just like a fitness tracker, impacts work. But even though “Game” is an essential part of the word "Gamification", gamification in the workplace is no game, and there are no Pokémon to catch at work. When I explain that we are taking performance related data and show it to employees, I’m often asked why isn’t showing raw data to the employees enough. And to that question I answer that data is simply not enough, and that a game is a wonderful way to visualize data. Barry Joseph says that the secret ingredient of Pokémon GO is big data. He says, “The game’s AR succeeds, in fact, because it turned big data into a game”. He refers to the big data that underlying the game is Google Maps, which is used in order to deliver the Pokémon. “Datasets are just numbers until they are translated for the non-expert”, he continues, “Beautiful, interactive visualizations are one way to present data. But as Pokémon GO demonstrates, so can games. 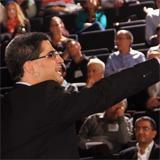 What ways can we play datasets, rather than just present them?”. 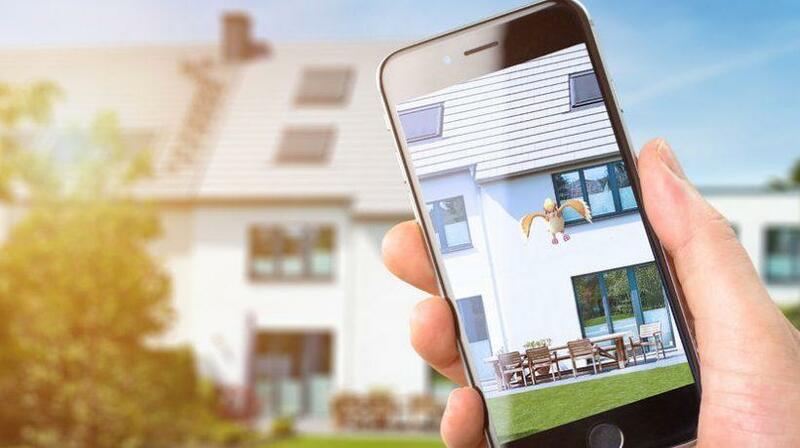 Pokémon GO attracts us because through using Augmented Reality and real maps, not only does it encourage the players to walk out in the open, but it is also adds the real world to the equation. The overwhelming thrill we feel when we find a Pokémon or pass by a gym that is led by our team, is just basic psychological conditioning. We go out and tour the real world just because the game’s concept and interface uses one of the most basic qualities of the human kind; our desire of exploration and discovery, and more importantly, our never ending point collecting lust. When it comes to get people to be driven and motivated, games are highly powerful and effective, as Pokémon GO shows us. Even though self-measurement and motivation to be good at your job don’t always seem as powerful as they really are, they can be highly powerful when it comes to motivating an individual to do a better work.